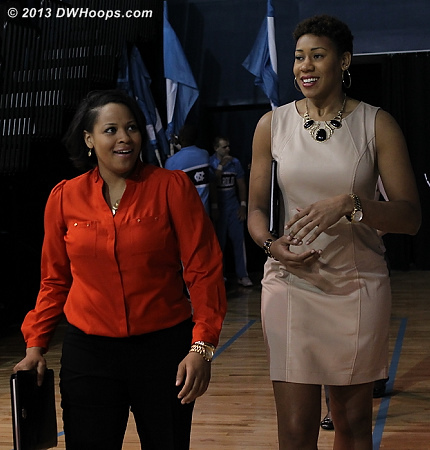 63 free photos are published below; 60 more are available only to DWHoops members. 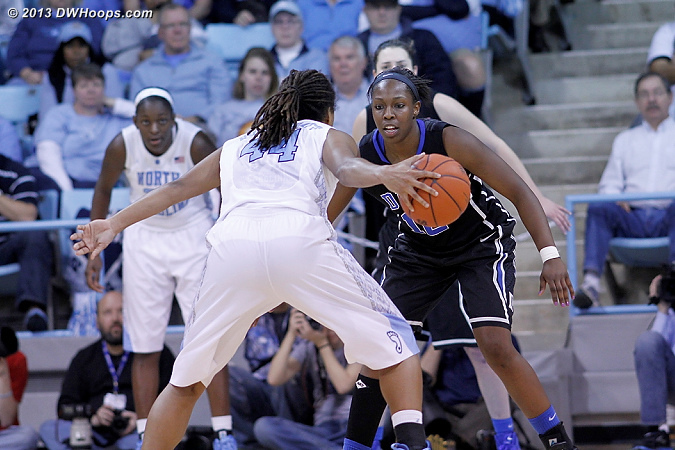 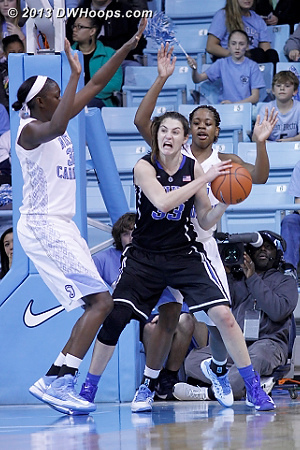 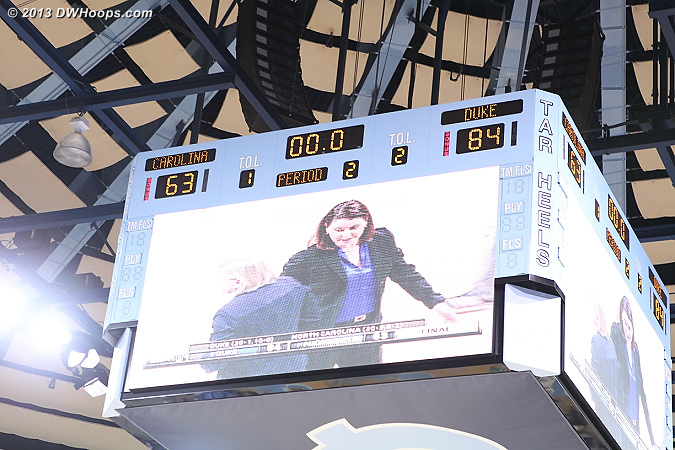 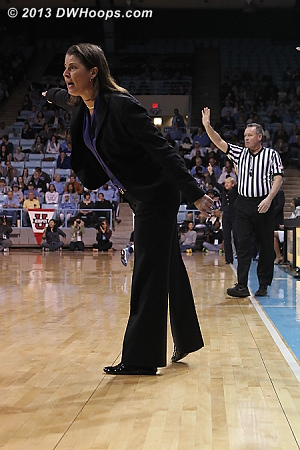 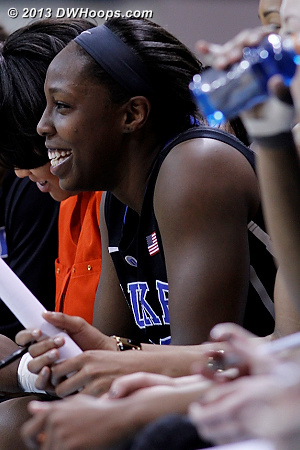 An ACCWBBDigest.com gallery is also available with a different mix of photos. 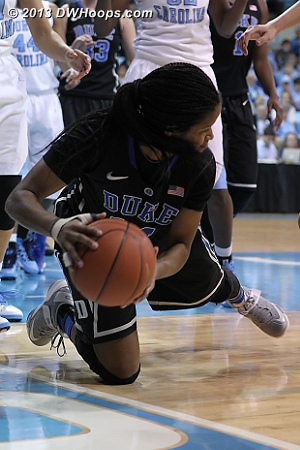 Note: A technical problem made photos unavailable earlier today, that has been corrected. 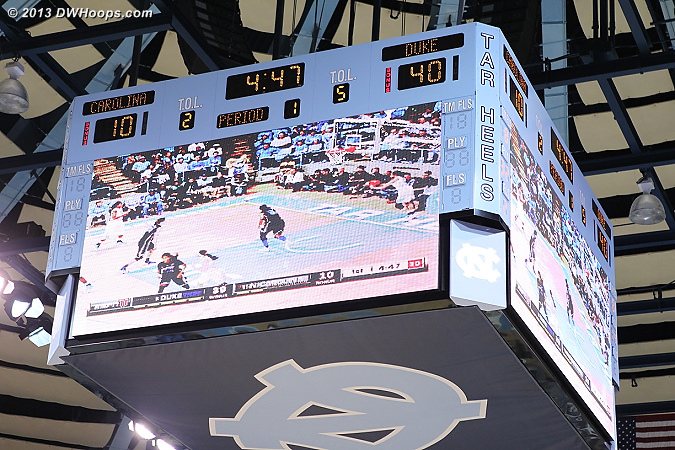 We apologize for the inconvenience. 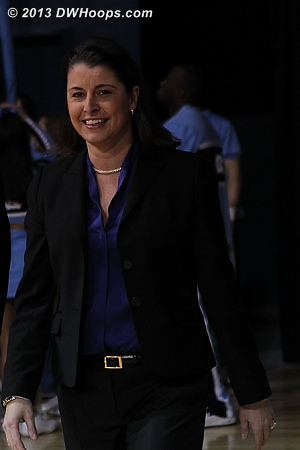 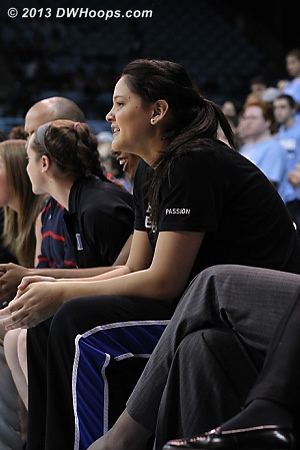 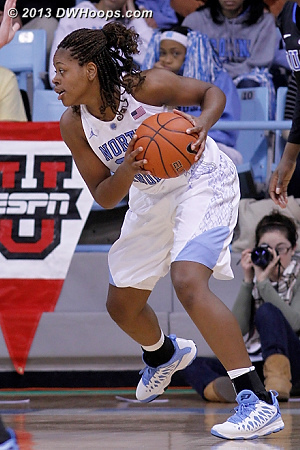 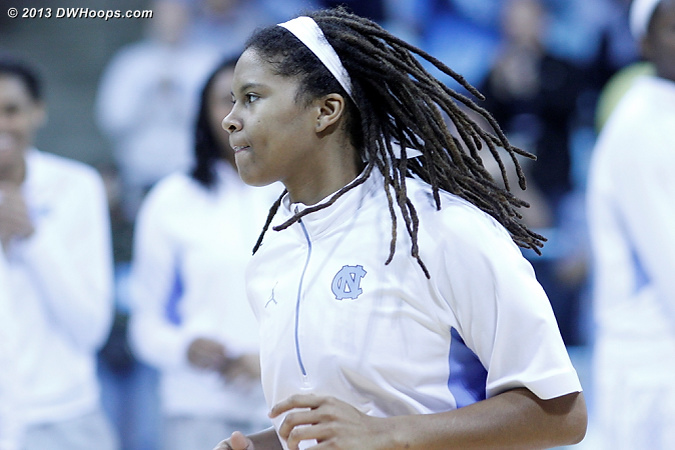 It's a UNC Women's Basketball tradition to honor a military veteran with ties to Chapel Hill every game. 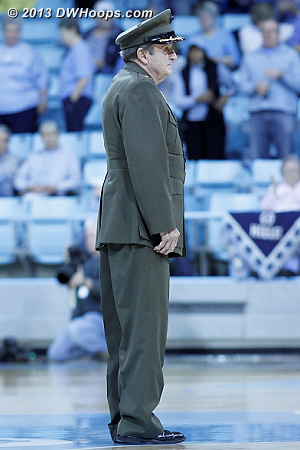 Today was no exception, with this Marine who earned a battlefield commission and a bronze star in WWII, then a second bronze star in Korea. 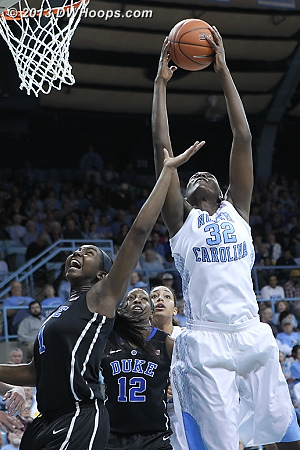 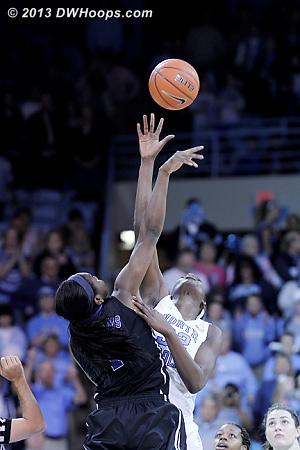 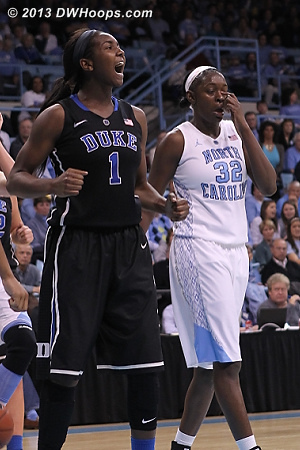 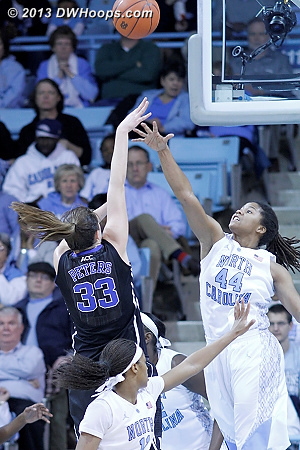 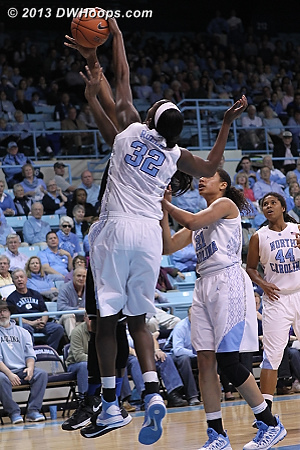 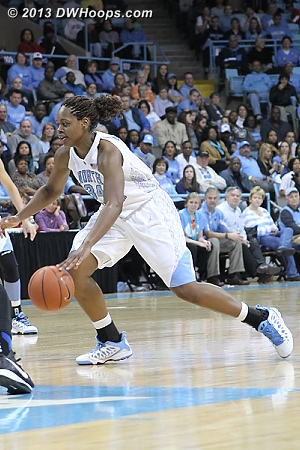 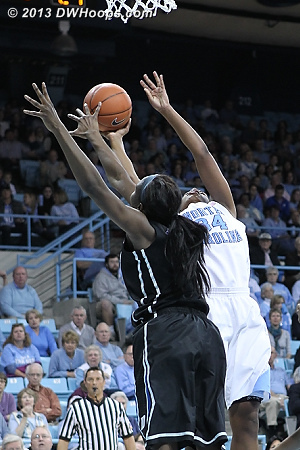 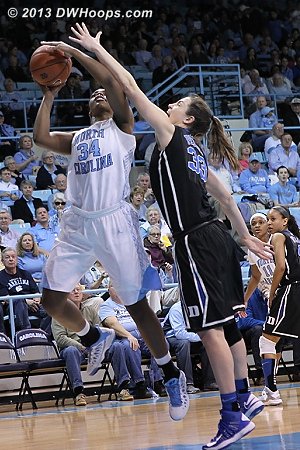 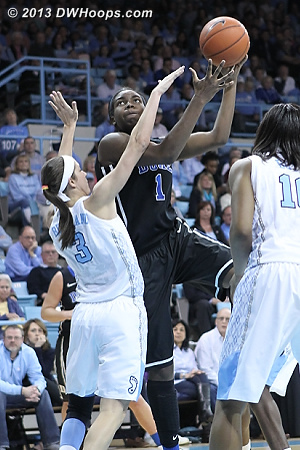 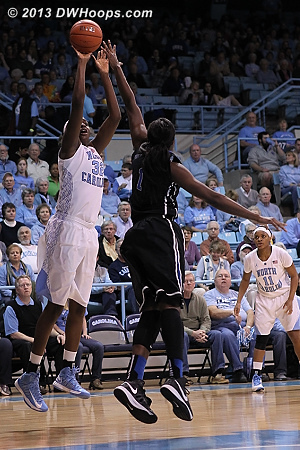 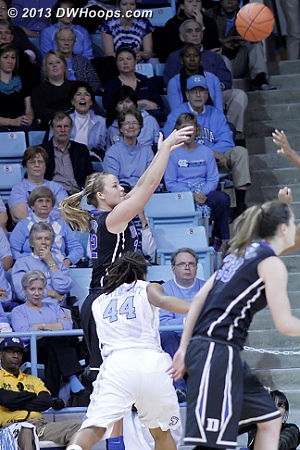 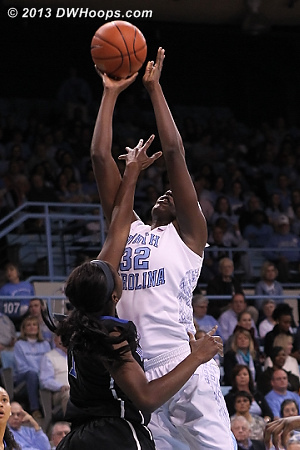 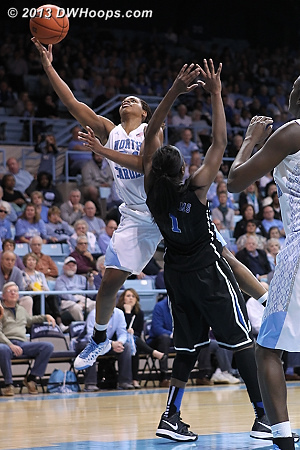 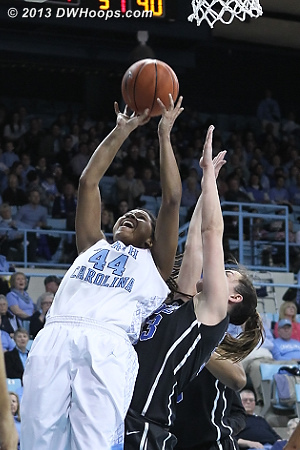 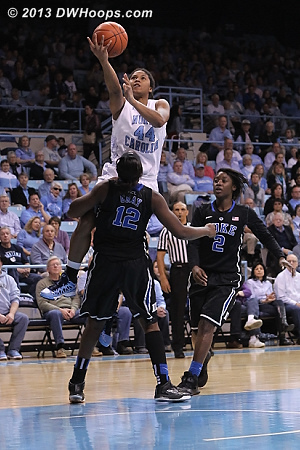 Rolle scored UNC's first four points. 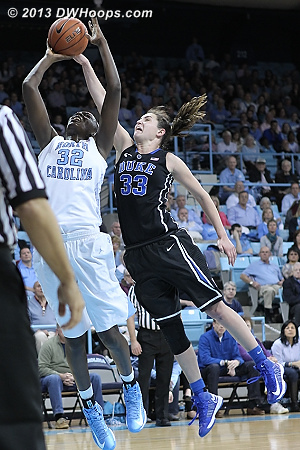 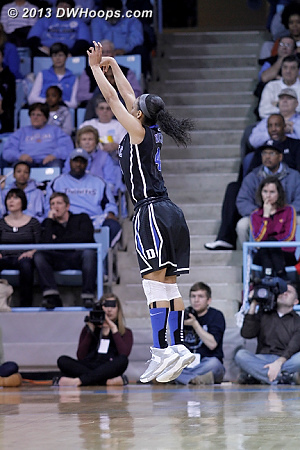 By the time another Tar Heel player scored, Duke has 19. 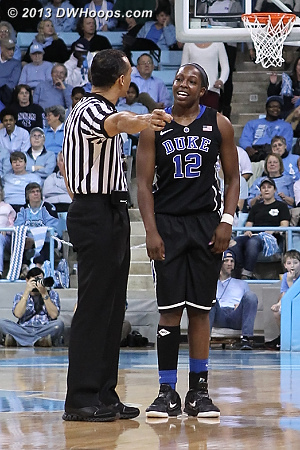 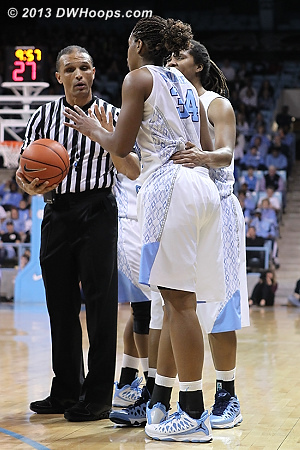 Gray and McDaniel tangle, the result was a double technical which counted as personal fouls for both players. 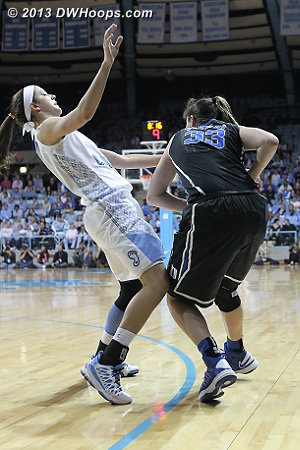 It was Gray's second foul, so she took a seat. 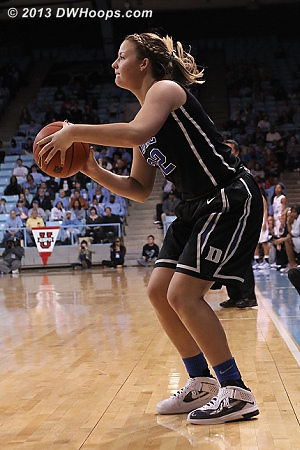 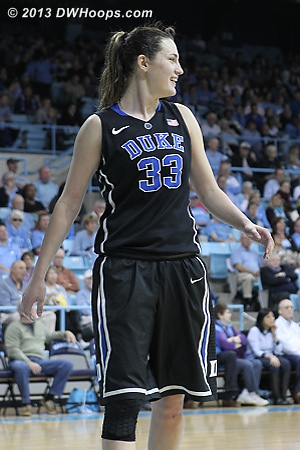 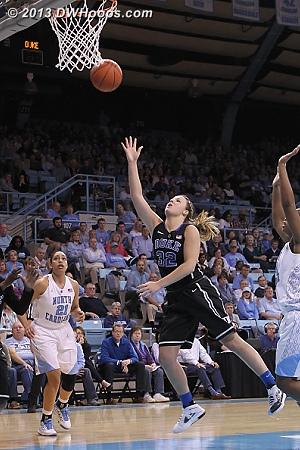 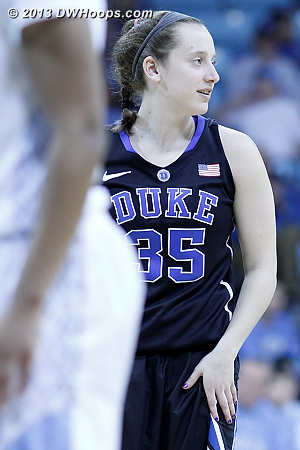 Wells alone behind the arc translated into her 4-5 three point shooting in the first half. 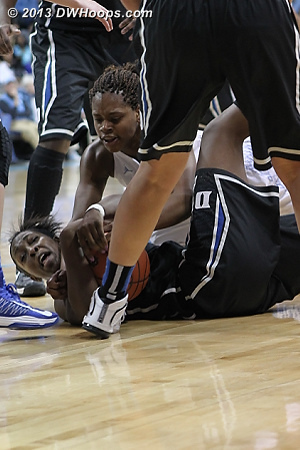 This make put Duke up a ridiculous 36-7. 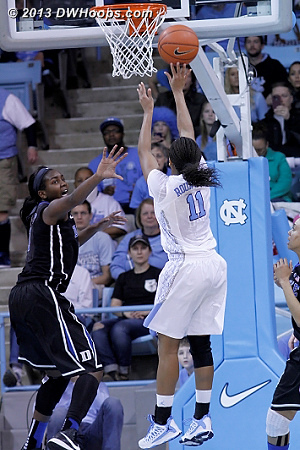 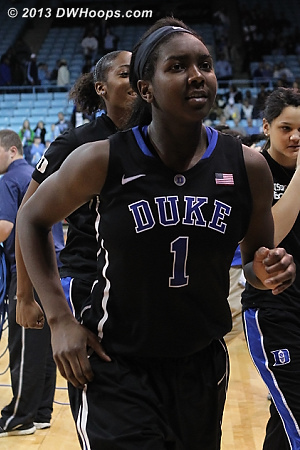 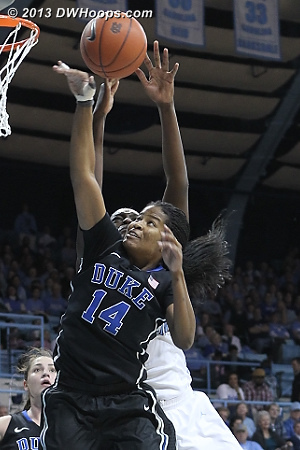 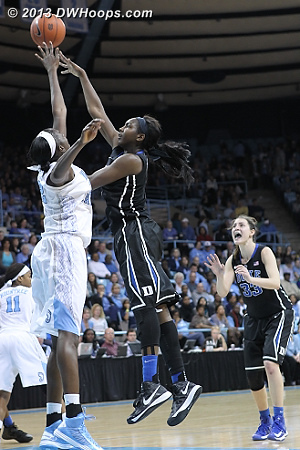 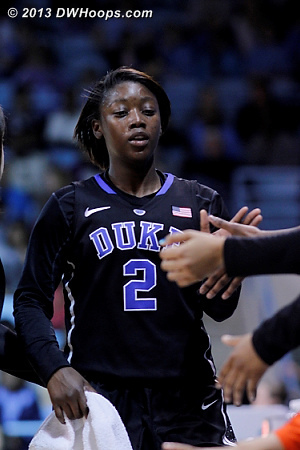 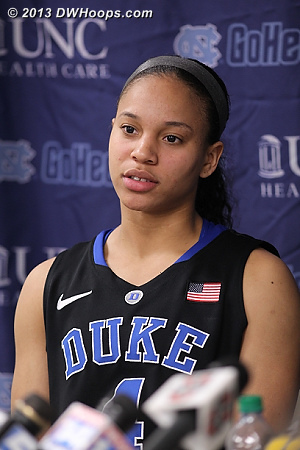 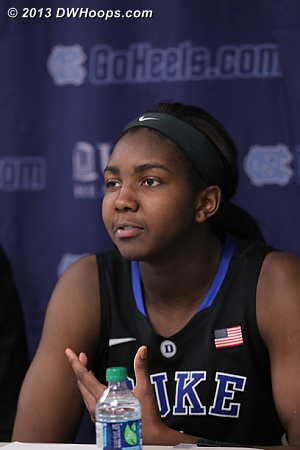 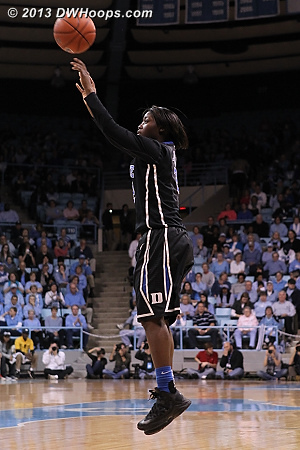 Gross misses at the first half buzzer, Duke leads 50-19. 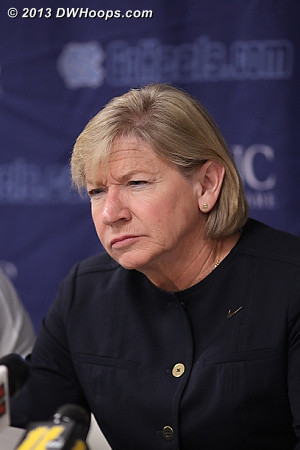 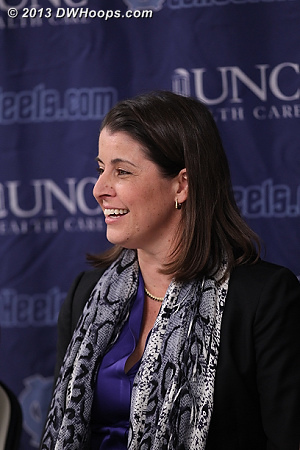 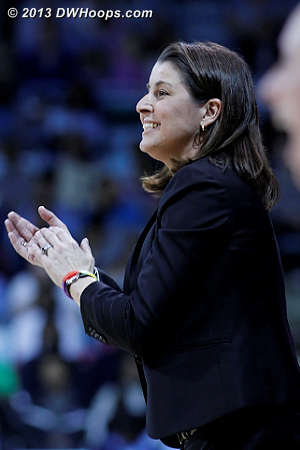 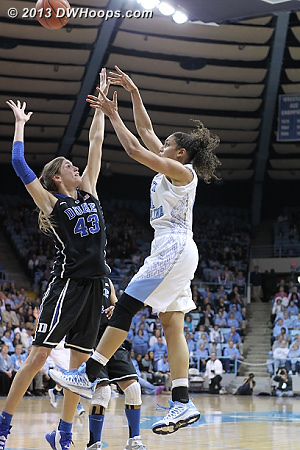 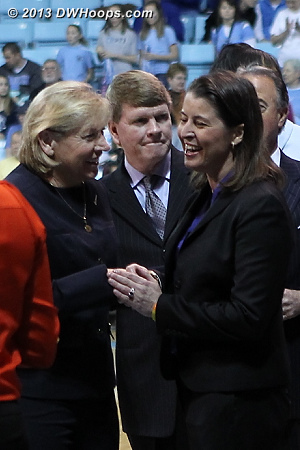 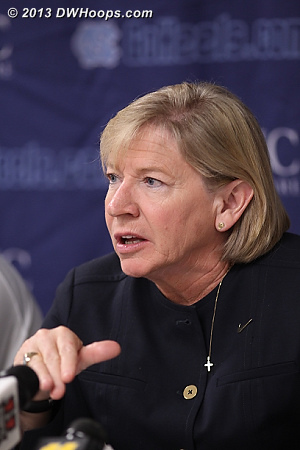 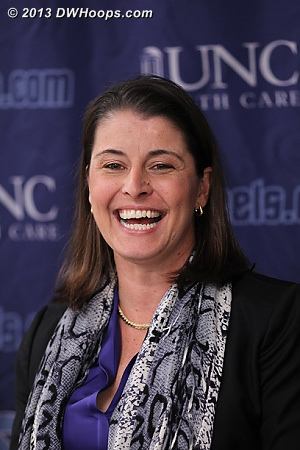 Coach Hatchell said that while her current team doesn't match up to Duke in the three point shooting department that help was on the way next season.